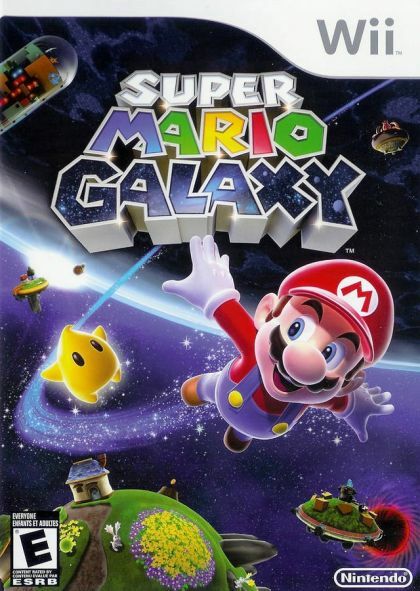 Players run, jump and battle enemies as they explore all the planets in the galaxy. Since this game makes full use of all the features of the Wii Remote, players have to do all kinds of things to succeed: pressing buttons, swinging the Wii Remote and the Nunchuk, and even pointing at and dragging things with the pointer. Mario essentially defined the 3-D platforming genre with Super Mario® 64, and this game proves once again that he is king. Players perform mind-bending, lowgravity jumps across wild alien terrain as they experience platforming for a new generation.